Our Lady of Guadalupe actually began as a mission of the Parish of Our Lady of the Angels, eventually becoming the Mexican national parish of San Diego back in 1917. As Mexicans were crossing the border due to the revolution, they were fleeing from 70 years of the Catholic church being outlawed. In the 1920s, you could be jailed or killed for public worship, even though the nation was 95% Catholic. The Mexican people came together for what would be called the Cristero Rebellion, in which they established underground churches and practiced their faith behind closed doors. Some chose to escape altogether and head for the United States. 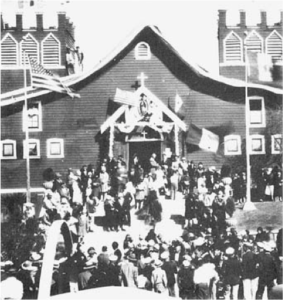 The parish was one of the original communities they were able to settle in, where most Masses were led in Spanish, and Mexican culture was embraced and celebrated. The church also collaborated with Neighborhood House, in order to empower the community and develop active citizens of color. In the beginning, the Augustinian Recollects of Spain were the administrators of the church, until the first Bishop, Bishop Charles Buddy, in 1940 with two Jesuit Mexican priests. In 1939, Bishop Charles F. Buddy proposed to remove the Spanish-speaking priests from the two predominantly Mexican parishes in his diocese. However, that was met with great resistance from the Mexican people who looked up to the priests. He saw Mexican Catholics as burdening because of their low social status, and the differences in their Catholic faith. Since they were unable to afford the priests themselves, the cost of supporting them relied on the diocese. “The conflict at Nuestra Señora de Guadalupe offers important implications for Mexican/Mexican American Catholics and the Roman Catholic hierarchy in the United States. It is representative of a larger historical pattern of insensitivity by a predominantly non-Mexican Catholic hierarchy in their relations with the Mexican laity. 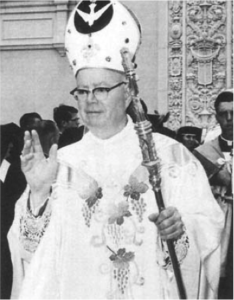 The history of the North American Catholic Church is one of a foreign clergy and hierarchy, (predominantly Irish and French) that has relegated Mexican religious beliefs to “meaningless” and “peculiar”52 traditions and practices, resulting in their alienation, marginalization, and exodus out of this religious institution. Recent figures indicate that Latino(a) Catholics are leaving the Catholic Church at the rate of approximately 60,000 people a year53. 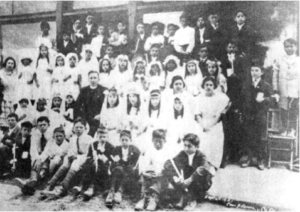 If the goal of this religious institution is to maintain legitimacy with the ethnic group that comprises it largest membership, then its leaders will have to construct a vision that will embrace their Latino brothers and sisters in the years to come,” (Dr. Albert Pulido, Journal of San Diego History). It was once the center of the community, where the Chicanos/as of Logan Heights could fully embrace their identity and feel a sense of home, and even a place of refuge for some, specifically for a lot of women and children. Despite a history of being outcasted for their faith, Mexican Catholics were resilient enough to always find a way to worship under any circumstances. The deep levels of hurt and betrayal from their homeland and the Irish Catholics in power are definitely still prevalent in the community, but they are able to look past that and still find a sense of home within the catholic church; a space within a space.